timely and efficient system activation. “EfCom was a software development subcontactor for Jettable. 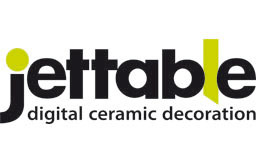 EfCom defined flexible software architecture for Jettable printer models. This architecture includes controlling of motion system and IO modules, managing electronics systems, and transferring the data from the computer to the print heads. EfCom designed an intuitive GUI, managed the printer functionality for different users, including multilanguage support. The software includes a built-in hierarchical diagnostics module, with variable filters to different users (operator, technician). “During the ongoing development of the printhead the need for a life tester was suggested. In an atmosphere of constant requirement changes (as the result of product changes and improvements), EfCom’s collaboration and contribution to the process of developing the new tool, from the early stages, was huge. Alex and Tal made their best to meet our requirements within a tight time frame. The final product is state of the art in terms of data collection, display and storage, as well as tester monitoring and control. The application, designed by EfCom, has already proven itself in the first live test and will definitely serve us in future tests. I sincerely recommend EfCom for their professional and reliable work. “I worked with Alex on several projects, mainly in the field of software interface for camera, including those which involved working with third parties. In every department, work with Alex is easy and smooth. Alex is characterized by dynamism, initiative, and excellent human relations. Completely committed to the project as an impeccable team member and contributing in every way, including above normal hours and workdays, in order to advance the project towards an early and successful finish. “Alex worked with the company’s development team on several occasions: during the initial development stages and during prototype improvement. In my opinion Alex is characterized by professionalism in hardware /software interface. He understands system requirements quickly and offers solutions which work. “Haldor Advanced Technologies has developed a medical device to increase patient safety during surgical procedures. probability to bring the solution to the market in a high quality and in a very short time-to-market. “MATAN Mashkantaot is a mortgage consulting company. The company has developed a unique economic algorithm which divides mortgage tracks so that overall financing charges are the lowest possible for a set of dozens of parameters, such as: monthly repayment capacity, existing capital, future capital, loans you can taken while checking the mortgage breakeven points, and a recommendation concerning repayment for the period. The system is complex and processes millions of possible combinations for taking a mortgage while choosing the optimal track which maximizes the borrower’s profit. The system was defined by MATAN company and developed by Efros Tal from Efcom company. The system is complex, requiring thought and attention to thousands of details comprising it. The system has been presented to large corporations in the market and is greatly appreciated by them. “We have been working with Alex and his team for the last two years. Efcom has implemented a large program to control an automated screening microscope. The program includes coordination of four sub-system interfaces, synchronization of fast real-time opto-mechanical events, and modular operation via flexible automated scripting language. All of the aspects of the software were handled competently, with great attention and response to the system requirements and to usability. Implementation of real-world decision algorithms (e.g. setting the fast Laser AutoFocus subsystem), and optimization of the overall system speed were carried out with understanding of the technical background and the application needs. We are very pleased to have chosen EfCom for an artificial-vision project. We enjoy reliability, delivery according to schedule, and prompt response. Moreover, great knowledge and critical experience in image processing, application development, and support in system requirements definition. “I required an expert who could handle projects involving both hardware and software at all levels, with excellent knowledge in the realm of video capturing and display. Alex surpassed all my expectations and had the job done much before the deadline, working around the clock. He is an energetic, brilliant software engineer and architect, with excellent skills. “EfCom is a bunch of most talented and smart people who are experts in what they do. EfCom delivers high quality and professional work with most creative thinking and problem solving. “EfCom, headed by Mr. Alex Efros, provides professional software solutions, more than answering high demands after studying complicated problems. EfCom has developed and still develops our System Operation Software package and Image Processing softwarepackage comprising most sophisticated algorithms. 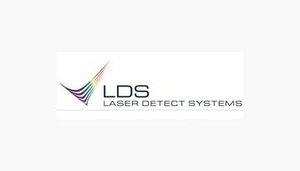 “LDS company researches, develops, and manufactures real-time mineral scan systems for control and monitoring purposes during production. The company’s systems are based on advanced electro-optical technologies and naturally require unique and complex software. We had been looking for a software company with an understanding of technology and a readiness for prompt and flexible development processes according to our and our clients’ specifications. Beginning with 2006, in contrast to other companies we have had experience with, EfCom company and those heading it, Alex and Tal Efros, evinced reliability, performance within schedule, and an impressive ability to meet and exceed all requirements. Already at the initial meetings we were impressed with their quick grasp of the system, their ability to translate complex requirements into integrated and practical solutions. We were likewise impressed with the rate and speed with which they offered and realized reliable, creative solutions. EfCom’s complete involvement in system definition and in imaginative solutions which enabled the expeditious development of sophisticated software. The complex and unique software which draws continuous praise from the company’s clients is no less the result of professional, imaginative and patient team work. We hope and believe that our successful collaboration will continue.